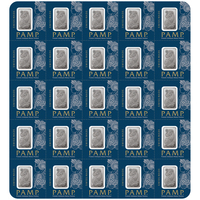 The platinum ingot of one gram (g), or 0.03 oz (oz), "Lady Fortuna" from PAMP Suisse is one of the best selling ingots on the market. The "Lady Fortuna" is still the best-selling and best-known investment product in the world. 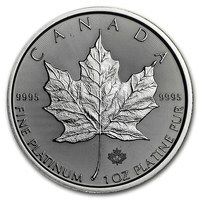 Platinum is considered one of the best investments a person can make. 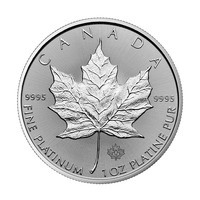 Platinum prices are not as high as for other precious metals, and they can be obtained on a smaller budget. However, long-term investment is worth as much as other precious metals. These ingots also make a unique and thoughtful gift for someone dear to you. On the obverse side of the bullion Lady Fortuna, the Roman goddess of prosperity, luck, and fortune is displayed. She is represented veiled with a wheel of fortune, and a cornucopia, which spreads the richness of her extended hands. On the other side of the bullion, we have important information displayed such as the unique serial number, the weight of the ingot and the purity of the platinum. Please handle your platinum ingot carefully. We strongly recommend using gloves when handling to avoid getting dirty or fingerprints. We also recommend that you store your property in a presentation box or an attractive window. This will give your investment a unique style as well as extra protection. PAMP Suisse is the world's leading independent manufacturer of precious metals, offering and marketing the most prestigious bullion on the market. PAMP Suisse was founded in 1977 in Switzerland, a country known for its organization and high-quality products. This organization is also the first company to introduce designs to their ingots. The first design, "Lady Fortuna", remains the most popular on the market.